The Marlins have already traded two star outfielders. Now they might look to deal a third. Just a week ago, the Miami Marlins had arguably the best outfield in baseball, with Giancarlo Stanton, Marcell Ozuna and Christian Yelich. Now, Stanton is a Yankee and Ozuna is Cardinal, leaving Yelich as the last star standing. For now, at least. Unlike Stanton, Yelich is signed on the cheap, set to make only $7 million in 2018 and $9.75 million in 2019. And unlike Ozuna, Yelich is nowhere near free agency, locked up through 2021 with a club option for 2022. There is no real reason for the Marlins to trade him. To that end, both FanRag’s Jon Heyman and ESPN’s Jerry Crasnick reported Wednesday that Miami will likely hold on to Yelich. Christian Yelich is no longer in play as a trade candidate, source confirms. Now that the #Marlins have moved Stanton, Gordon and Ozuna, they can easily afford to keep him. Yelich will make $7M this season and is owed a guaranteed $44.5M through 2021. Club-friendly deal. But because this is the Marlins, it can’t be quite that simple. 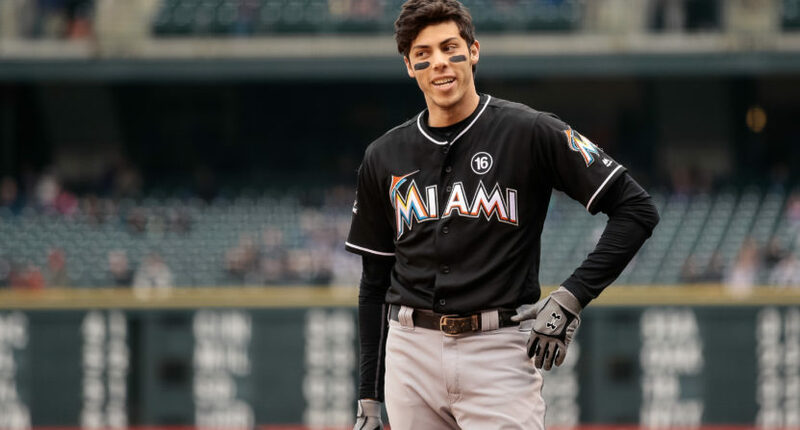 An hour after Heyman tweeted that the Marlins were likely keeping Yelich, he reported that the team planned to ask the outfielder for his input and that a trade was, in fact, a possibility. Given how the Marlins have handled this offseason, it’s tough to see that report and not think they’re going to trade Yelich and then blame the move on his frustration. That’s essentially what they did just last week, when they claimed Stanton’s trade demands had forced their hand (when in reality Stanton asked to be traded only because the Marlins threatened a tear-it-down rebuild). Leaving aside money for a moment, you can argue either way on whether dealing Yelich makes sense. On one hand, he’s affordable even for a franchise apparently taking pride in a league-low payroll, and is under team control long enough that he could be on the next competitive Marlins team, years down the road. Plus, it might be nice to give Miami fans something to root for next year. On the other hand, the Marlins could turn Yelich into three or four promising young players who would be around even longer. For the right price, dealing the 26-year-old could be worthwhile. Thing is, the Marlins’ new owners seem to base every decision on saving money, so it’s more than possible they’ll look at a guy due to earn more than $55 million over the next five years for a losing team and take the first decent offer they get. Based on what we’ve seen so far this offseason, only one thing seems certain: The Marlins will somehow manage to mess this up.